Today is the day! Welcome to Day One of the Courtney Summers Read-Along! I am really excited to be hosting this event, and hope you guys are too. 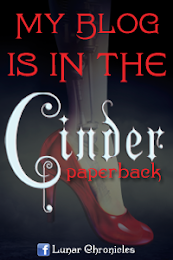 If you don't know about the read-along CLICK HERE and it'll give you all the information. If you're interested in participating and you haven't already signed up, just mention in the comments or leave your link in this month's link-up! 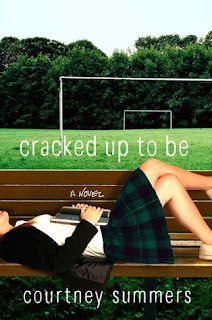 This month we are going to be reading CRACKED UP TO BE, Courtney Summers' first published novel. It's also a special month because one of my very awesome friends is going to be co-hosting this month with me! Please welcome, Crimson! I'm Crimson, and I co-blog over at moonlightgleam.com. Anyone who knows at least a little about my taste in books knows I'm a giant Courtney Summers fan. As unfair as it might be to other books, I do sometimes have a tendency to hold up Courtney Summers books, unconsciously or not, as the standard by which all contemporary books I read must compete. 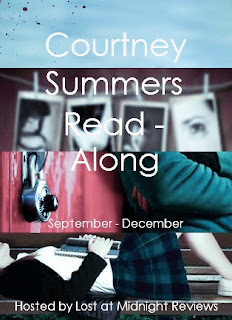 CRACKED UP TO BE was the first Courtney Summers book I read, so I'm excited to be hosting the first month of the Courtney Summers Read-A-Long, CRACKED UP TO BE month. CRACKED UP TO BE is one of those rare books that achieves the perfect balance between crying-I'm-laughing-so-hard and crying-my-heart-is-being-shattered. Narrated by the unapologetically "unlikeable", and deeply sympathetic, Parker Fadley, CRACKED UP TO BE is like the perfect guide on how to lose friends and alienate people, as well has how to laugh and cry and break your heart and maybe even put it back together again. Brilliant writing, dynamic characters - this books is the perfect introduction to Courtney Summers and, I'm sorry but I have to say it, it's definitely all it's cracked up to be. So, here's how the month is going to work. Each week we'll be reading designated chapters from the book (the list of chapters is below)! Every Sunday, there will be a discussion post about that week's chapters! You can read as fast or as slow as you want (aka you don't have to follow the schedule, that's just how we'll be separating the discussions), and I hope you guys will participate in the discussions on Sunday. Throughout the month, there will be guest posts, reviews, and other cool things (including giveaways)! Add the link to your review/post/etc. below if you have one and hope you guys have fun!